Books wall sticker showing a pile of books stacked on top of each other, great for creating the perfect atmosphere for reading. This monochrome wall sticker is available in many sizes, 50 different colours and leaves no sticky residue upon removal. Use this stack of books wall decal to show off your love of reading in any room in your home or library, be it the living room, bedroom, dining room or teen's room! And what's more, this anti-bubble vinyl is as easy to apply as it is to remove! Books wall sticker showing a pile of books stacked on top of each other, great for creating the perfect atmosphere for reading. 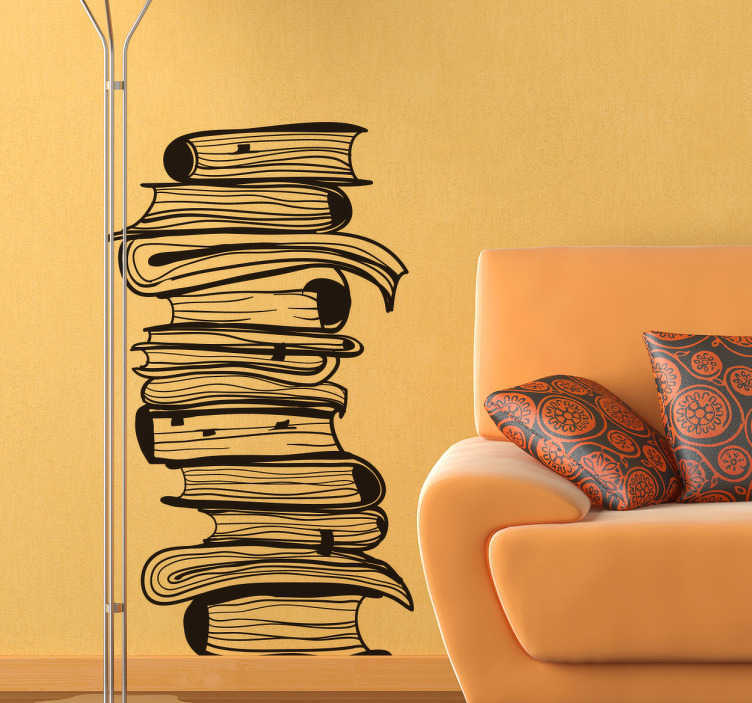 Use this stack of books wall decal to show off your love of reading in any room in your home or library!